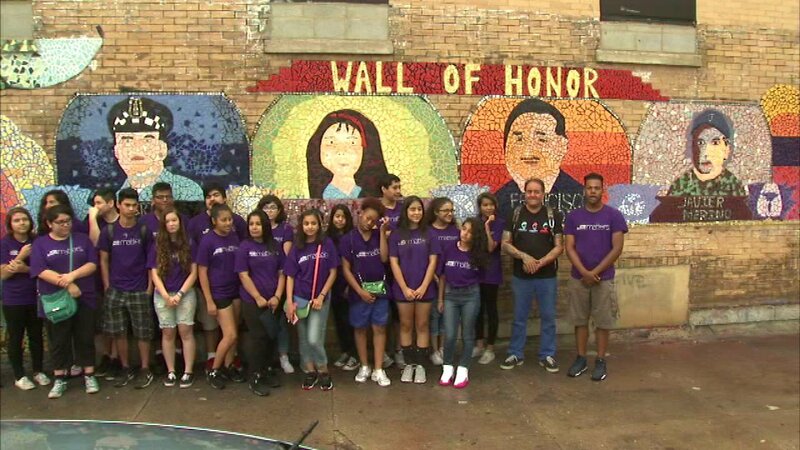 CHICAGO (WLS) -- A glass mosaic unveiled on Friday honors four people who made a positive impact in Chicago's Pilsen neighborhood. It was created by the J-Def Peace Project, an artistic project that's meant to give teens a way to address the violence in Chicago. The project is part of the After School Matters program. Located at 18th Street and Paulina, it honors Chicago Police Officer Brian Strouse who was killed in the line of duty and Ana Mateo, a seven-year-old who was a victim of gun violence. The other honorees are Francisco Mendoza and Javier Merino.